Just 10 miles from Sutton Coldfield we have the picturesque town of Lichfield, with its character buildings it really is a pretty town. Looking for a church wedding, in Lichfield you are spoilt for choice for church weddings as there are spires from Lichfield Cathedral, Saint Michaels church and St Mary’s, St Chad’s church to name a few just a short distance from each other. Also in Lichfield and surrounding areas there are some great wedding venues in the town centre is The George Hotel, this 18th century Inn has plenty of character we have over the years provided vintage and classic cars, very fitting parked next to this wonderful building. Just on the outskirts of Lichfield we have Swinfen Hall, this grand Georgian Manor set in 100 acres of its own grounds. We have been to Swinfen many times, and regularly attend the Swinfen Hall wedding fayre, with its splendid driveway this fabulous wedding venue can cater for weddings from as little as 30 guests up to 160, or 180 for an evening party, again our genuine vintage Rolls Royces and our classic 1960’s 7 seater Princess limousines fit into these grounds perfectly!!! Also on the outskirts of Lichfield we have Alrewas Hayes wedding venue, in fabulous grounds overlooking a lake, these wonderfully converted luxury barns have been converted to the highest standards, set within the buildings you have a wonderful courtyard which also has grand guest accommodation and can cater for smaller weddings and also up to 650 guests if required and all the numbers in between!!!! Whether it’s the Lakeside Marquee or the vast Grand Pavilion or its beautiful hall and gallery it has something to offer for any size wedding. We have done numerous weddings at this venue and it is highly recommended. We regularly attend the wedding fayre at Alrewas Hayes. 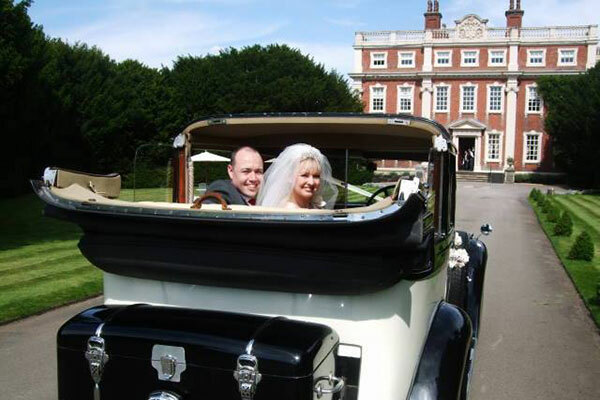 Our Vintage Rolls Royce Landaulette at Swinfen Hall Hotel. Vintage Rolls Royce and Princess Limousine at Alrewas Hayes. 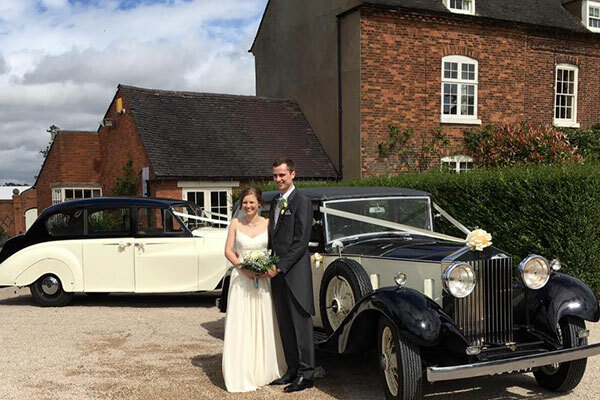 If you are having your wedding in any of the above locations or venues and are looking for vintage and classic wedding car hire in Lichfield please contact us for a wedding car hire quote. If your location or venue is not listed please try us as we still may able to help.